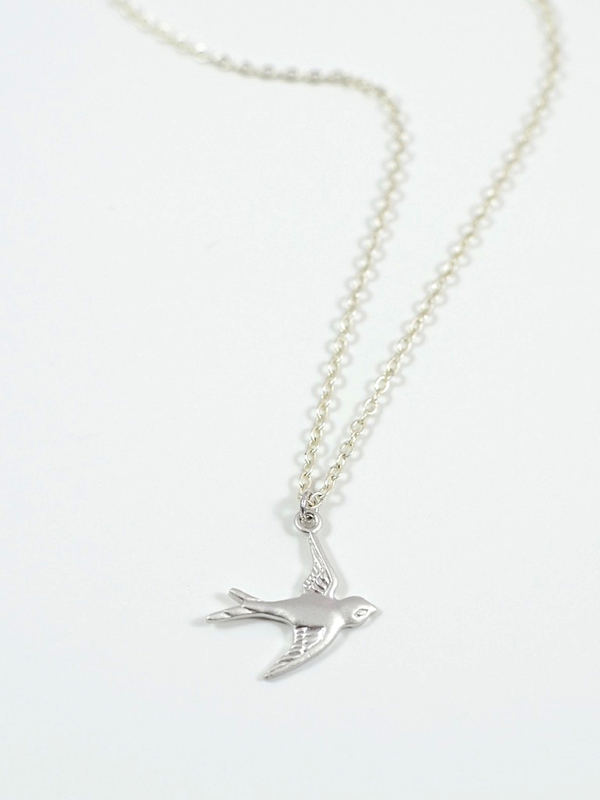 This delicate 19 inch matte silver cable chain features a sweet and petite swallow charm in matte silver. 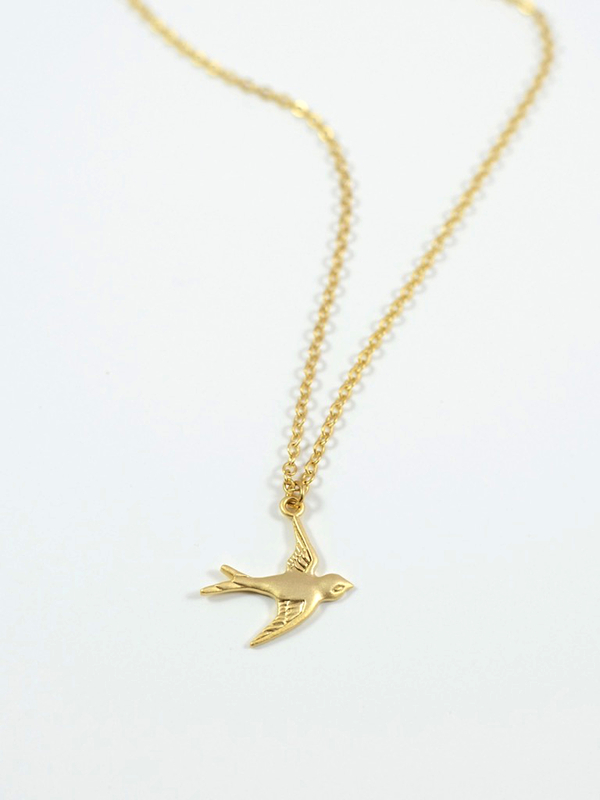 This delicate 19 inch matte gold cable chain features a sweet and petite swallow charm in matte gold. 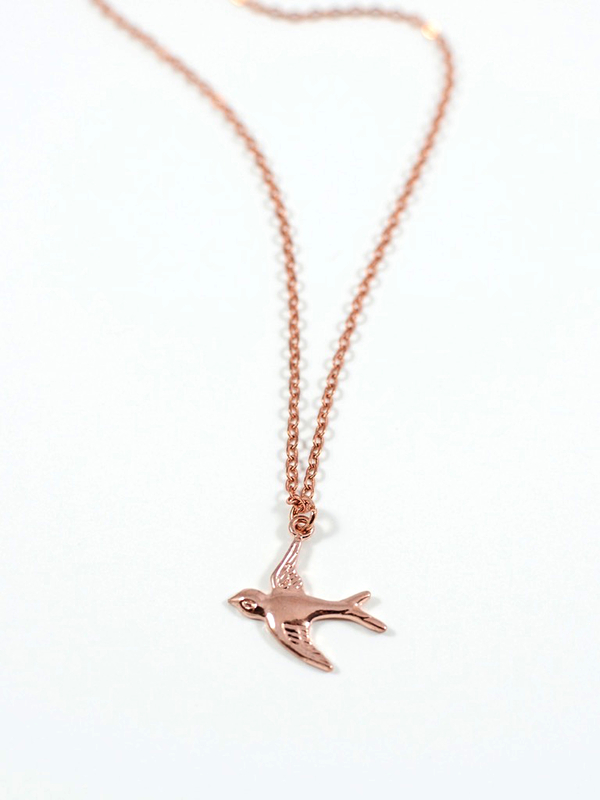 This delicate 19 inch shiny rose gold cable chain features a sweet and petite swallow charm in rose gold.